Now that you have created an Oracle Cloud Database, and have figured out how to connect to it, at some point you're going to need to transfer some files to it. Here are a couple of easy ways to do that, and both of them will require the private key file that either you created or someone gave to you. 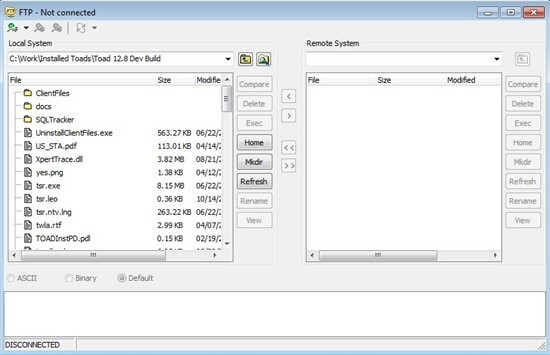 PuTTY comes with a FTP command line tool called PSCP. I guess the first "P" is for "PuTTY" and the last is "Protocol" but I don't know what the letters SC are for. You'll get a nice command-prompt-style progress "dialog" while it transfers. Click the top-left toolbar button to define a connection and you'll get this settings dialog. 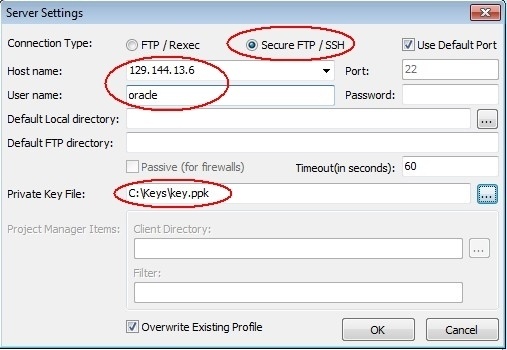 The circled fields are the only things you need to change/enter to connect to an Oracle Cloud Database server. And now that you're connected, you can transfer files (one or multiple) by selecting them and dragging them across or by using the buttons in the GUI. Are you going to transfer that file more than once? If so, look in Toad's Automation Designer. 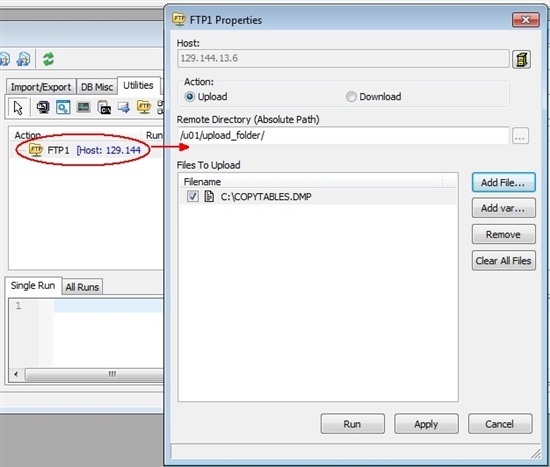 From there you can set up a reusable one-click action to FTP your file or files. Then double-click it to set the host, files to transfer, etc. After the action is set up, right-click it to run or schedule the transfer. You can also run it from the command line.